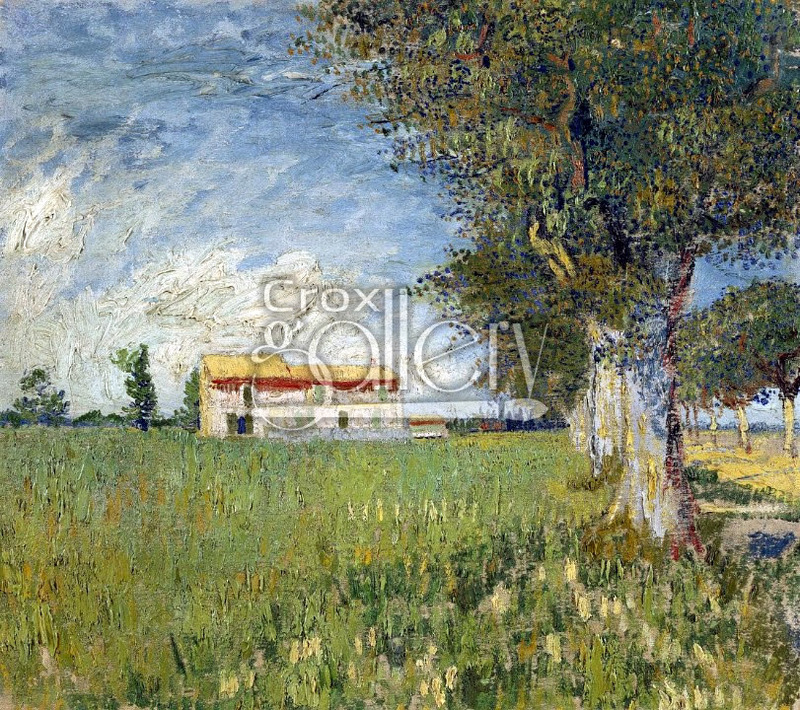 "Farmhouse in a Wheat Field" by Van Gogh, Oil Painting Reproduction. 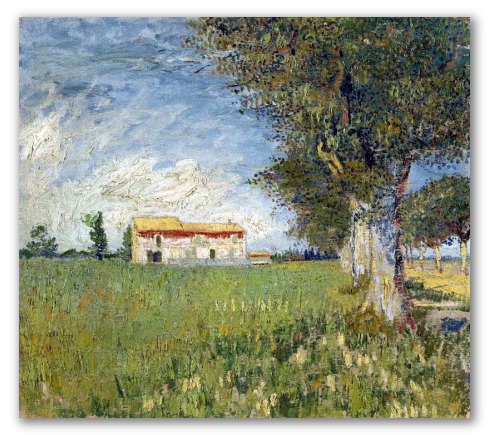 Farmhouse in a Wheat Field was painted in the year 1888 by Vincent van Gogh. When Van Gogh arrived to Arles (the south of Paris) he was immediately inspired by the views and sketched the landscape in a letter to his brother Theo. This painting represents all he saw and felt at the time. The work is now exhibited at the Van Gogh Museum, Amsterdam.